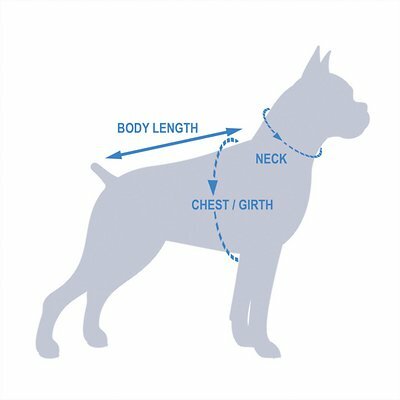 Remember to measure your pet for the paw-fect fit. 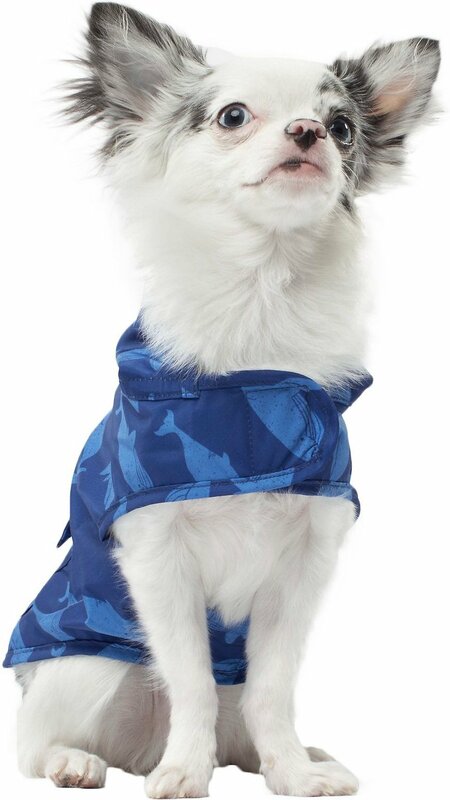 Prevent your pet from getting wet with the Canada Pooch Dog Raincoat. 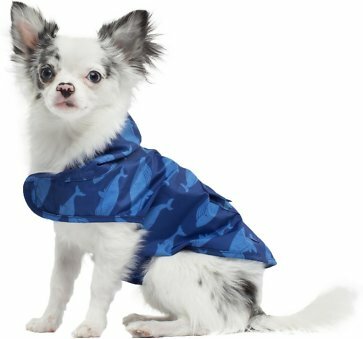 This lightweight, water-resistant polyester raincoat will keep your pup dry without weighing him down. Designed with a snap-back hood, this go-to raincoat allows you and your furry friend to adjust to the unpredictable weather. Unlike other doggy apparel, this poncho has an easy wrap-on vest design and fuzzy fastener closures, so you can get your pal dressed and ready for the outdoors in a jiffy. This pooch raincoat also comes in several fun and quirky patterns and is available in various sizes, making it perfect for a variety of breeds and paw-sonalities! Versatile snap-back hood design allows your pup to be ready for any weather. Wrap vest pattern and fuzzy fastener strap closures allow for a hassle-free way to get your dog ready for weather-proof walks. Designed with a slit to attach a leash easily so you can guide your pal whatever the weather. Comes in various sizes and in an assortment of paw-some patterns so you can choose the one that best suits your furry friend. Water-resistant and machine-washable polyester fabric keeps dogs dry and makes cleaning the raincoat extra convenient for every pet parent. I simply love theis easy to put on rain coat. My papillon looks so snazzy in her pink watermelon coat. She is ready to take on our rainy winter and appreciates her coat staying dry! I like this coat because it is easy to put on over her harness with two velcro straps. Very light and well made. It has a slit for the leash to attach to the back of a harness. It has a cute and practical hood and there is even a little pocket. Highly recommend. I swore I would never dress up my dog! But the torrential rains in Florida this year changed my mind. My Collie got so soaked that it took three days for her to dry out. The size 26 covered her from head to tail and really made a difference. She looks adorable! I purchased this raincoat (stripes) for my dog-Macy. She is 62 pounds, a mixed aussie shepherd. 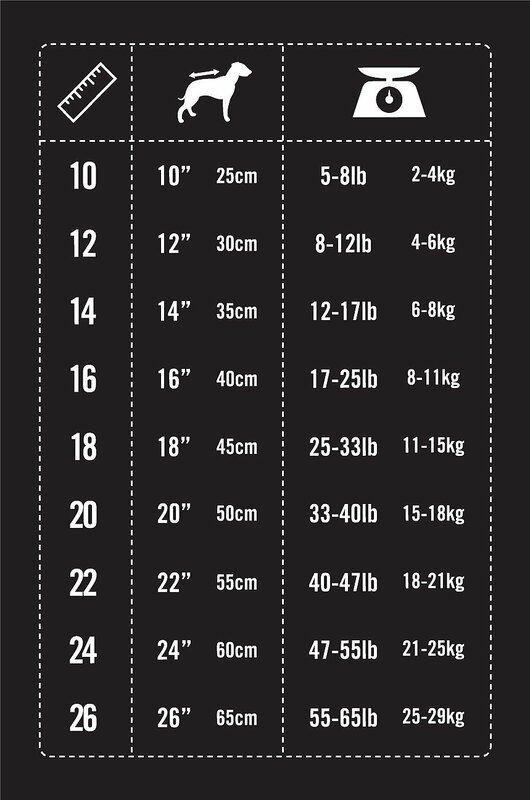 Size 26 is a perfect fit-covers her whole back from neck to tail. It has kept her dry on our walks. I love everything I've every gotten that's Canada Pooch! Excellent quality and the patterns are so cute. I always thought I would never put clothes on one of my dogs...LOL. WELL, that all changed the first time my Shih Tzu mix (my very first small dog) pup got drenched, while walking in the rain, and started shivering. This adorable raincoat arrived on the day of a deluge. It kept her dry, and she really did look cute! We've used it several times since. Still have to dry those paws and muzzle, so keep towel ready. From my dog's point of view, he loves it. He (Japanese Chin) has always been fickled about walking in the rain, This well made rain coat made of a poly material is not very heavy but let's him walk freely. I love the blue whale print and the hood that can be snapped in the close position off the head. Love it. Our dog hates rain.He won't go out unless he can stay dry, and this coat keeps him dry. I love that it has an opening for his leash and harness connection. Would recommend this to anyone who wants to keep their dog dry and on a harness and lease. I bought this in a size 24 for my 60lb Pittie and a size 20 for my 40lb Pit Mix. I love that they are light weight and they have retractable hoods. The bright and fun patterns make me smile even when the weather is dreary! I definitely recommend. I like this raincoat. Rumpus likes this raincoat (as much as he ever likes a coat). It is well made and the velcro fastenings make for an easy hassle-free fit. I love this jacket. It's lightweight so it's great for my big fluffy dog who gets hot easily. It dries pretty quickly. We bought the largest size for my pup who is about 80 pounds, but tall and skinny.